The most anticipated time has finally come when the Finance Minister Shree Arun Jaitely will announce the Union Budget 2017-18 on the first day of February. This is the moment when the entire country hooks to the TV set and internet to know what is waiting for the people of the nation. This year the most awaited topic in budget is the ‘tax’ factor that all the people are waiting to know. Is there any change in tax slabs? What will be the new taxable things/services or what are the things that will be tax free from the very next day? All these questions and speculations will be around. 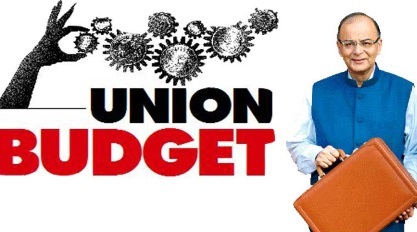 Last time union budget was declared on the 29th February. But this year the date is decided for budget is 1st February 2017. Arun Jaitley will announce the final Union Budget 2017-18 on that day. Tax Exemption: The most desirable expectation is regarding tax exemption. People across the country are expecting a rise in upper limit of exemption. Currently Rs. 2, 50,000/- is the upper limit of exemption. People are expecting at least Rs. 4, 00, 000/- to be the exemption limit. Cashless India: As the demonetisation happened the entire attention has shifted to that only. Not only the common people but traders, farmers, businessmen, jobbers and every single person are looking at the cashless transaction benefits. The government is making a lot of efforts these days to encourage cashless transaction, so plastic money discounts, net banking discounts and especially tax benefits on cashless transactions are desirable in this budget. Farmers and Demonetisation: After demonetisation the most affected part of the country is the primary sector. Farmers, especially small farmers have faced a lot of problems selling their Rabi crops and other harvested crops due to demonetisation. The primary sector is wishing to have something for them as well. Agricultural Sector: As said that farmers are expecting huge compensation and tax benefits for the losses they incurred due to demonetisation, there are still things that need to be sorted like educating farmers to use plastic money and money sending app and much more to survive in cashless India. Housing Loan: PM Modi started Pradhan Mantri Awas Yojana under which people with no permanent house will be able to build their own shelter in any of their desirable place. With introducing this scheme the demand for home loan will increase in future. Tax deduction in interest payment is definitely expected from this budget as to encourage more people to opt for home loan under the scheme. Real Estate: Real Estate market has shown a disappointing growth in the previous year. This year, people are expecting some more changes like reduction in HRA, price change of the construction raw materials and such from Union Budget 2017. Education Sector: In the education department people are expecting more scholarship and subsidy for the higher studies. The Beti Bachao Beti Padhao and Kanyashree have already gained immense popularity but still there are places in remote rural areas where there is no school at all. This year, we expect some more money allocation to infrastructure of school buildings and new set up of educational institutions. There are experts who are saying that this budget will be special, growth oriented and individual tax reduction can be expected. Also according to Kishore biyani, saving interest rate can drop.